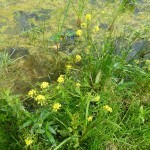 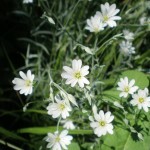 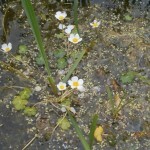 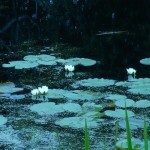 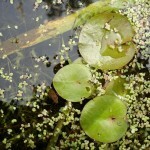 Home Aquatic plants Dr M’s field day diary #3 – eXtreme botany in the water! 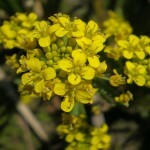 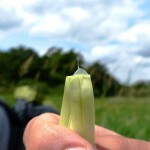 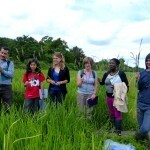 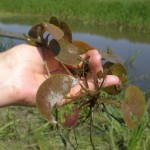 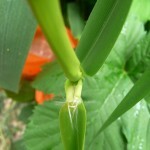 Dr M’s field day diary #3 – eXtreme botany in the water! 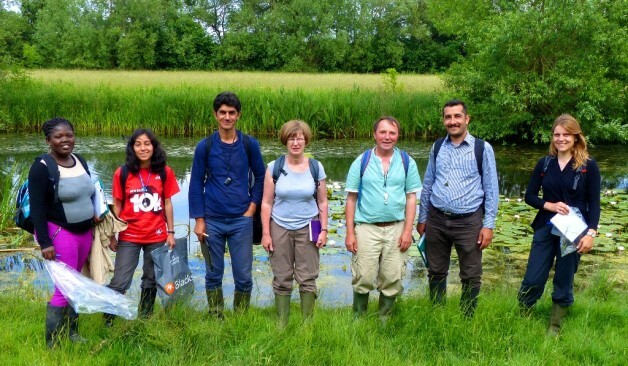 Not far from where the Magna Carta, was sealed by King John way back in 1215 at Runnymede, Dr M and his students investigated a backwater of the River Thames working their way through a mosaic of swamps, fen and aquatic communities. 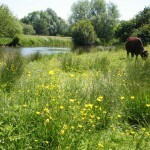 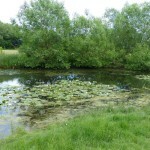 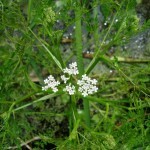 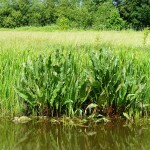 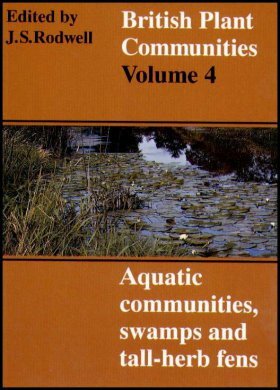 Calling for Volume 4 of British Plant Communities: aquatic communities, swamps and tall-herb fens. 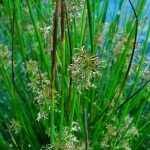 Swamps are vegetation types of nutrient-rich wet soils where productivity is high (lots of biomass) but species richness is low. 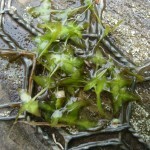 The vegetation is dominated by large emergent monocots characteristic of open-water transitions with permanently or seasonally submerged substrates. 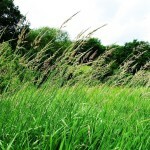 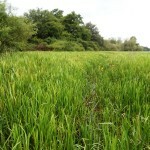 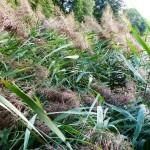 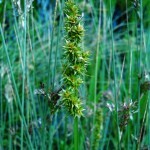 At Runnymede include vegetation variously dominated by Glyceria maxima (Reed Sweet-grass), Phalaris arundinacea (Reed Canary-grass), and Phragmites australis (Common Reed). Aquatic communities as the name suggests are communities of open water and are assemblages of submerged or emergent plant species occurring together in transient or more permanent assemblages the composition of which depends on environmental factors such as substrate, water chemistry and water movement. 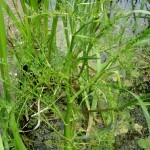 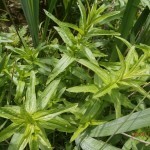 Bankside vegetation also including quantities of the invasive Crassula helmsii (New Zealand Pigmyweed).